LaHood was in Connecticut on Monday about a regional rail plan. When Transportation Secretary Ray LaHood rode the rails in Connecticut on Monday, he told officials to work with Massachusetts and the federal government to introduce high-speed commuter rail service to the region – which is likely be one of the first completed projects in the nation. LaHood said the planned service linking New Haven, Hartford and Springfield, Mass., gels with President Barack Obama's vision to connect America with inner-city high-speed passenger rail and spur economic development. "Connecticut has its act together and Connecticut will be connected with inner-city high-speed passenger rail because of the cooperation between the state government, the federal government and the opportunities that are created for the money that may be available in the future," he said. The federal government has already awarded $40 million to Connecticut for the project, money that's being used to help construct a second set of tracks in stretches where there's only a single track. State Department of Transportation Commissioner Joseph Marie said the state is putting together its application for a second round of funding. He said the request would be more than $40 million. Connecticut must match 20 percent of the federal funding. Advocates hope the high-speed rail corridor will be running by 2014 or 2016, so long as the state submits various studies to federal officials necessary to receive additional funding. Regular commuter rail service on the 64-mile corridor linking New Haven, Hartford and Springfield ended about 40 years ago with the demise of the former New York, New Haven and Hartford Railroad. 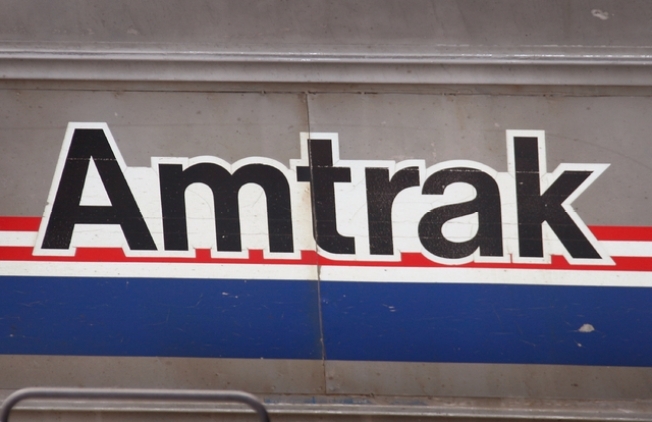 Amtrak has owned and controlled the train tracks since 1971. Reviving commuter service has been hampered over the years because of the single-track stretches. Eight to 11 stops are under consideration for the corridor.